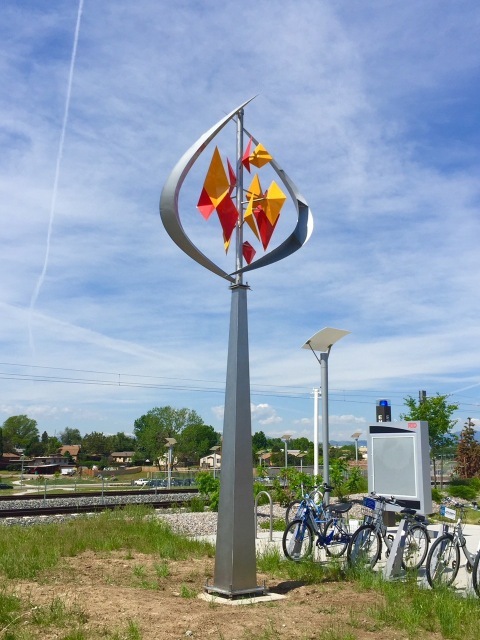 The North Metro Art Alliance has partnered with the City of Westminster, Hyland Hills, Parks and Rec District, and Adams County to place many sculptures in the Westminster Area. We believe that public art is a very important way to bring art and culture into a community. Our current project is a kinetic sculpture for the new Westminster Commuter Train Station. This sculpture, titled “Guiding Light” was installed in May 2018 and will be dedicated in 2019. All of our sculptures have also been made possible by funding from the SCFD through the Adams County Cultural Council.